Today I got upgraded to the Airtel’s new broadband connection - ‘V-Fiber’ broadband based on Vectorization. The V-Fiber broadband offers speed upto 100 Mbps. As an existing Airtel broadband users I didn’t have to pay any extra. But there is a catch here. 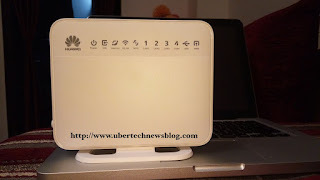 I have to purchase the new Huawei HG630a modem for Rs. 1000. There is an option of paying Rs. 1000 in a single go or Rs. 200 for 5 months. I was given the plan not listed on the Airtel website for Delhi-NCR. 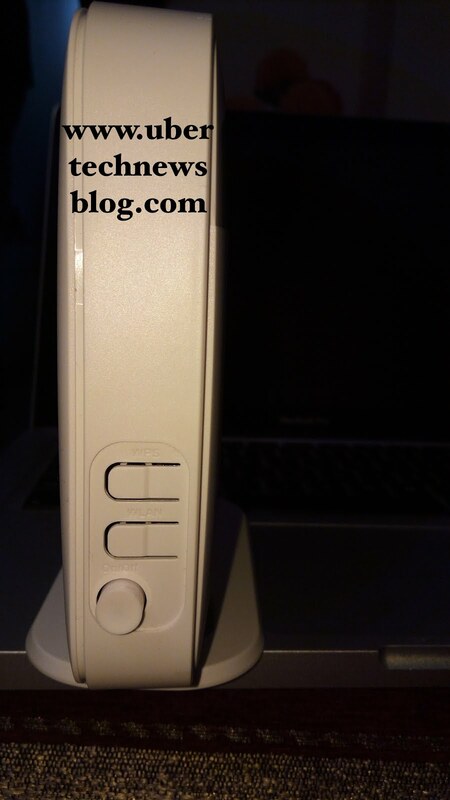 My plan is Rapid New 1199 60GB with 40 Mbps speed and unlimited local and STD calls. Following is the plan listed on Airtel for Delhi-NCR region. The firsttwo plans are the normal old plans. Third one is the plan I got as an offer and is not listed on the Airtel website for broadband. Rest are the plans that are now listed as the high speed plans under V-fiber broadband. Along with the 60 GB FUP I also got 100GB of extra data for free for the first 3 months. *Plan might be different at different locations. Airtel V-Fiber is currently available in Chennai, Bangalore, Delhi, NCR, and Mumbai and will be deployed across 87 cities soon. You need to visit airtel.in/vfiber to apply for new V-Fiber connection or file a request to upgrade your existing connection. There is no need of any documentations if you are an existing user. Just pay upront Rs. 1000 or Rs. 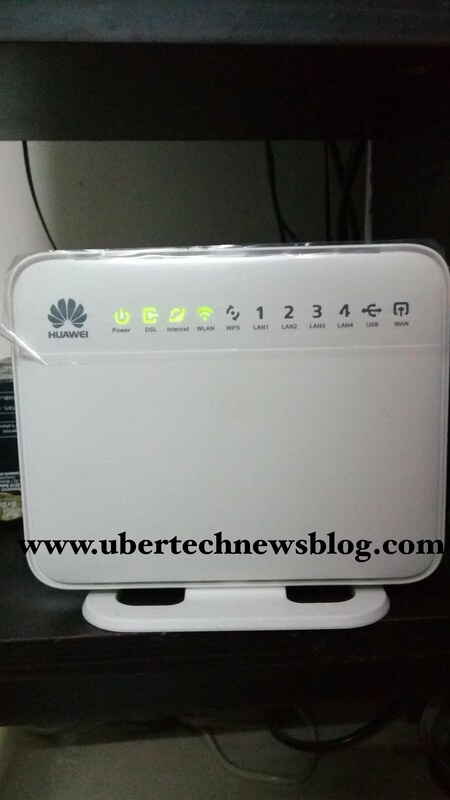 200 for 5 months (included in next 5 bills) to purchase the new Huawei HG630a. Airtel will take away your old Modem and will setup the new Huawei HG630a modem. 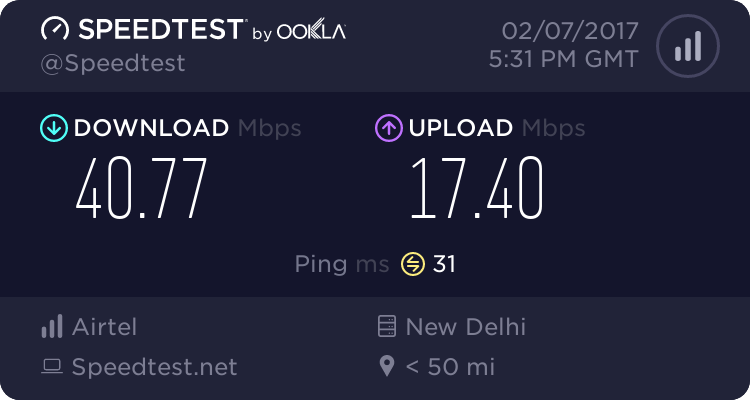 There is a fight going on between Airtel and Jio over the OOKLA SpeedTest that Airtel is using as a proof of its fastest mobile Internet speed. 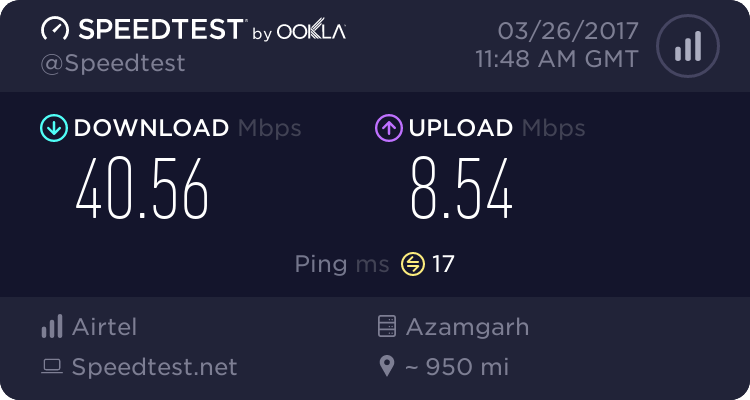 I don't know about that, but the V-Fiber Broadband Speed Test by OOKLA suggest its faster than 96% of other broadband providers in India. Just upgrade but i got beetel modem, How i upgrade to huawei HG630a modem?